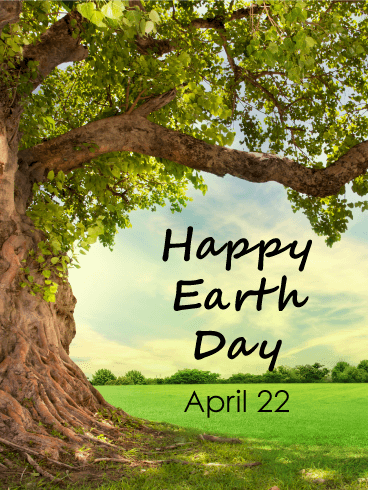 On April 22 every year, we honor and celebrate the planet that we've made our home. As the sun rises and sets every day, our lives depend on the health and well-being of this incredible world. 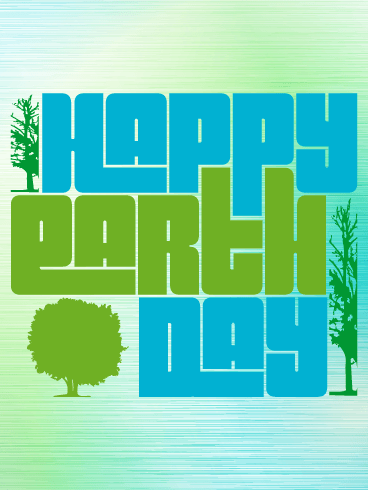 To celebrate the Earth this year, send this Happy Earth Day card to your friends and family. Remind them of beautiful home they enjoy on this special day. You probably never imagined having such an awesome option for an Earth Day card! The subtle variations of blues and greens catches the eye right away, and the message about saving the earth is perfect for this special day. Just look at the small Earth and tree in the hands, representing the difference we can make. It's simply perfect for the Earth lover in your life! There's just something so simple and magical about this Earth Day card that makes it one of a kind. The card depicts multiple generations working together to make this world a great place. The dirt on the older set of hands makes this an awesome choice for anyone who loves gardening and caring for the planet. Look at that gorgeous, subtle rainbow on the top, too! For the person in your life who loves our planet and celebrating Earth Day, this is the card you've been searching for. The photograph of Earth is both gorgeous and captivating, while the outer space background really catches the eye. With its blue, green, and white color scheme and simple message, this is the perfect Earth Day card. Green for the land on which we live and blue for the water that covers most of our planet. These colors form the beautiful landscape we call home. 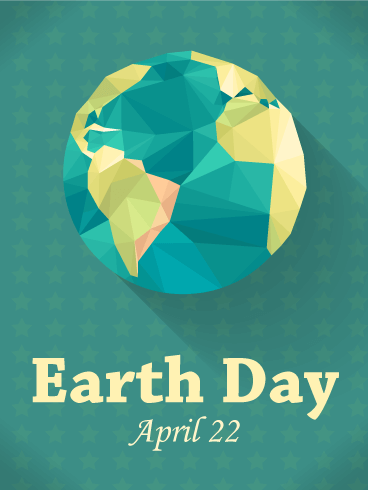 On Earth Day, send this colorful Happy Earth Day card to celebrate the earth and honor the home it has given. 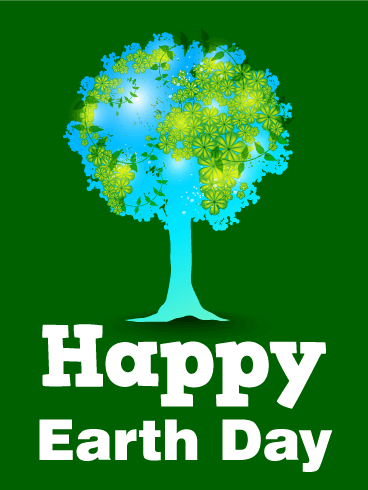 We are responsible for the health of our world, so do your part by sending this Happy Earth Day card today. Even from space, the bright blues and greens that form our Earth are beautiful and visible. As people, we have not always been the best residents of our Earth, but every day is a new opportunity to do better. 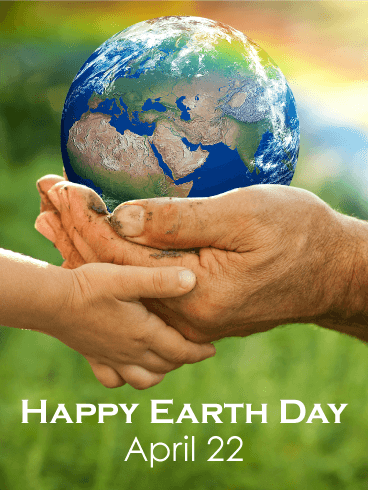 With this Happy Earth Day card, you can encourage your loved ones to do their part to take care of their home and remember the work that needs to be done. The Earth we live on is a special gift we have to enjoy and to take care of. To celebrate this wonderful gift, send this beautiful Earth Day card to all your friends and family! The earthy colors and unique, beautiful Earth picture will be a perfect celebration of our planet. 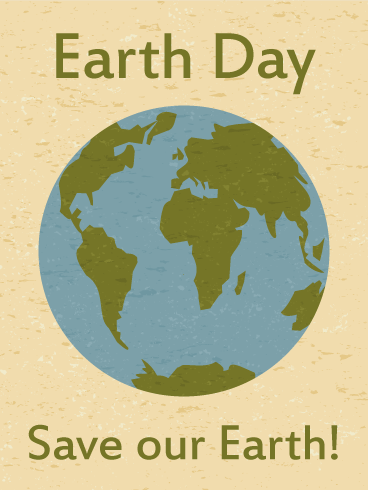 Send this Earth Day card and include a list of your favorite things about our world to celebrate this day! How many times have you seen someone do something that harms our Earth? This Earth Day, use this Earth Day card to let your friends, family, and coworkers know about the important fight to save our Earth. The card looks like it's made of recycled materials, a good reminder to recycle and protect our planet. Send it to everyone you know today! 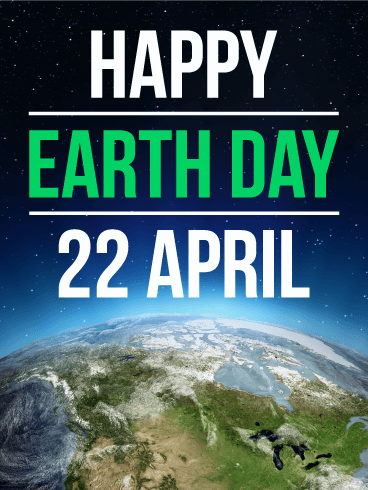 What's the best way to celebrate Earth Day? By keeping it green! As this holiday approaches, send this Earth Day card to your friends and family to remind them to care for the Earth! We are privileged to live on our great planet, so join with your loved ones to learn how to take care of it. 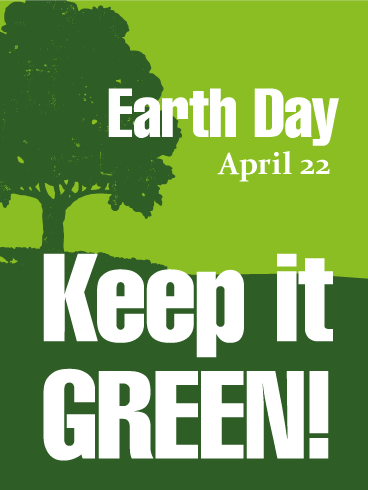 Celebrate our world by keeping it green with this Earth Day card! 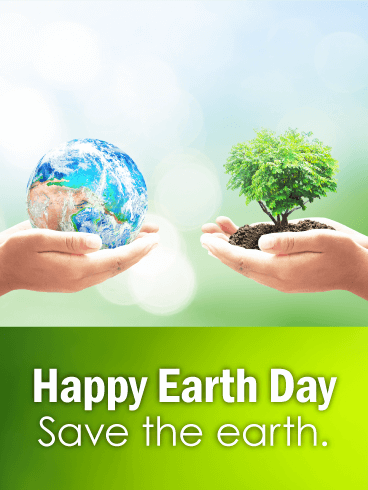 Do you celebrate Earth Day? This year, start your celebrations by sending this colorful, artistic Earth Day card! The bright tree in the center forms a picture of our world, showing how the Earth is made up of living things. Celebrate this important holiday by taking care of the living things around you and reminding everyone you know to do the same. One day every year, we celebrate the world we live in. 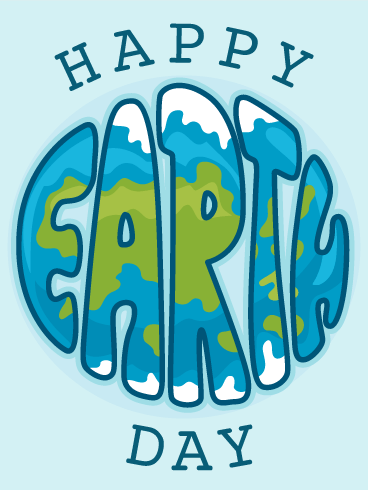 As you celebrate this year, send this Earth Day card to everyone you know! Use this Earth Day card to start the important conversation about taking care of the world around us. Learn how to recycle and save energy to preserve our world and home. 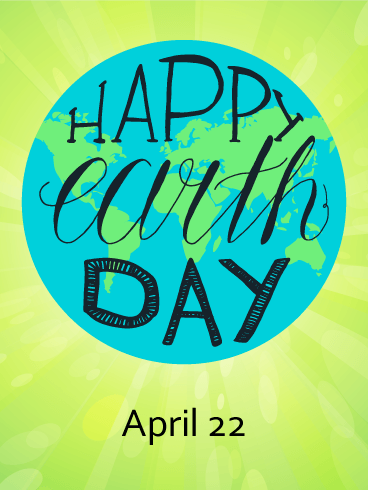 Share the celebration of this special day by sending this beautiful Earth Day card!